A freaking mouthful I know, and I can tell you the picture in the book looks a hell of a lot simpler than actually making this dish. I wanted to up my recipe cooking again so I went up to the top shelf of my bookshelf and chose the book Mugaritz by Andoni Luis Aduriz. This has been my most liked Instagram which I am truly humbled for. Mine in no way looked as pretty as the picture in the book but it sure was a very interesting, fun and tasty dish. 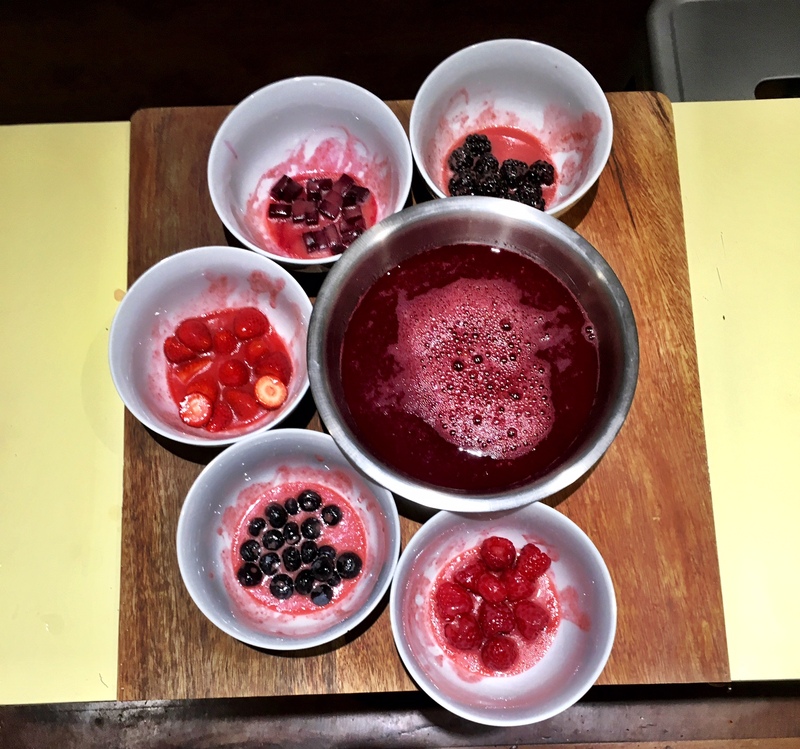 This is quite a long recipe and I have written this post out as if it where in the book. 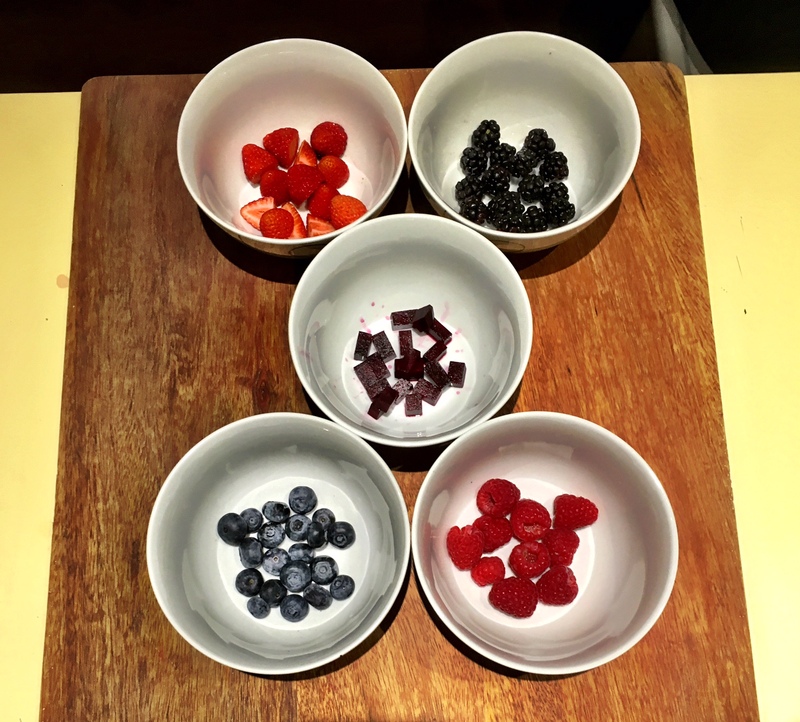 Being in Perth I had to substitute a few of the berries I could not find them but it still made for a good eat. 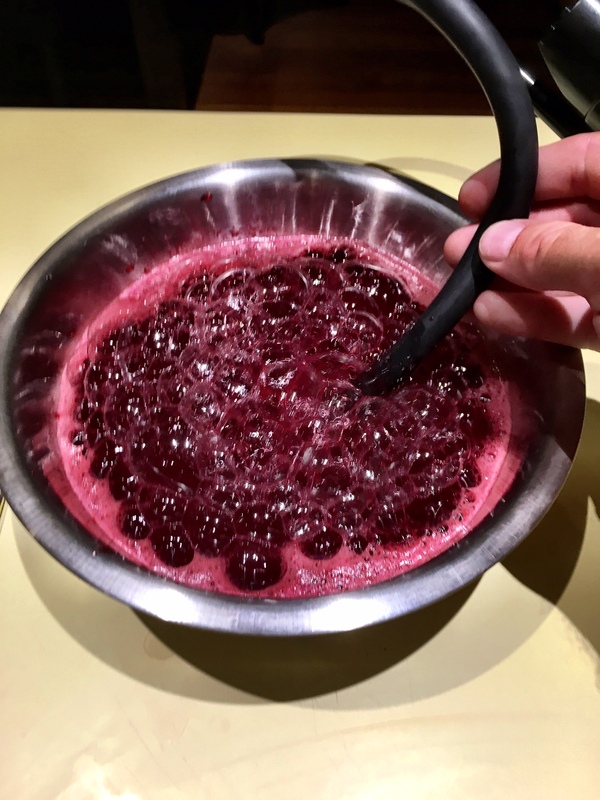 Pour the beetroot juice and the mineral water into a mixing bowl. Sprinkle in the xanthan and mix at a low speed with a hand-held blender. Add the egg white powder and continue mixing very gently for at lease 5 minutes. 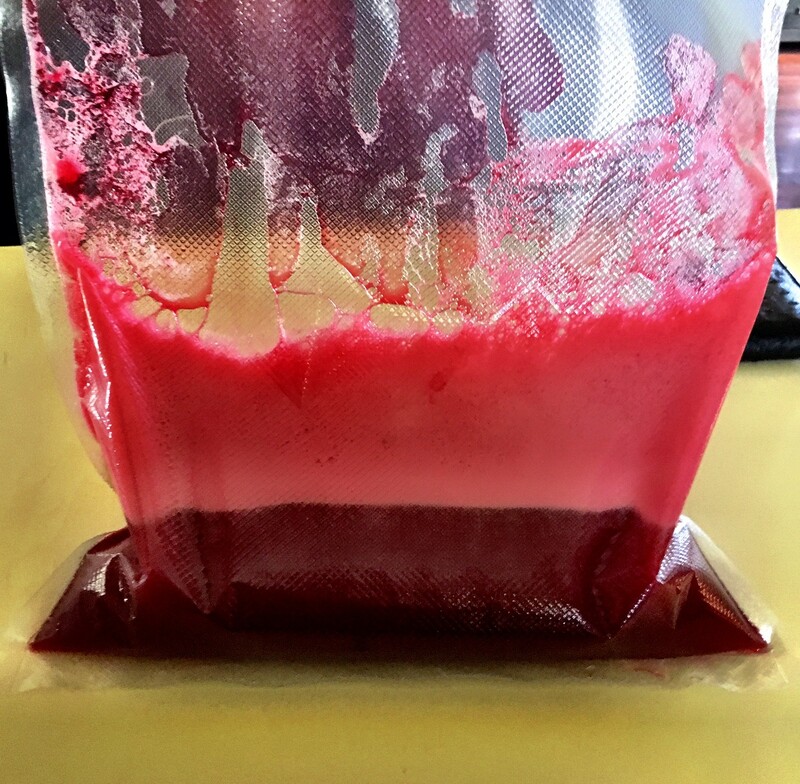 Vacuum pack the juice on maximum pressure (I did it the best I could with a chamber-less vacuum) and leave to stand in the refrigerator at 2-4°C (36-39°F) over night. 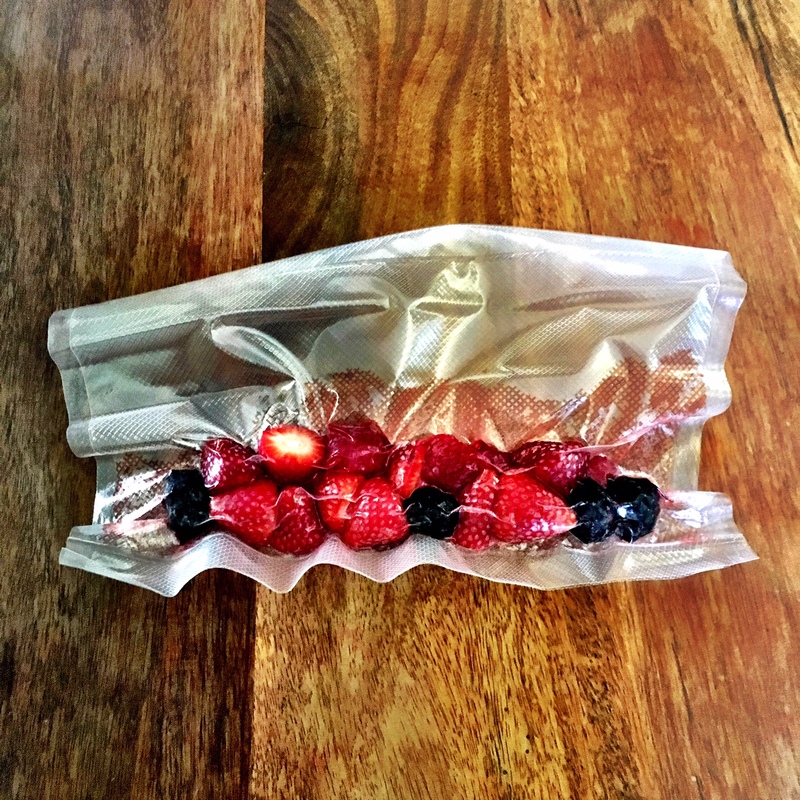 Place the fruits into a vacuum bag and vacuum them under maximum pressure (I have a chamber-less vacuum and just vacuumed until all air had gone) immerse in your SousVide at 70ºC (160ºF). Keep the bag immersed for 5 hours and then sieve the fruit to collect the juice. pass the juice through a fine mesh sieve and set aside in the refrigerator covered with clingfilm (plastic wrap). The berries should be ripe and never be refrigerated (If you cant get this store bought is fine). 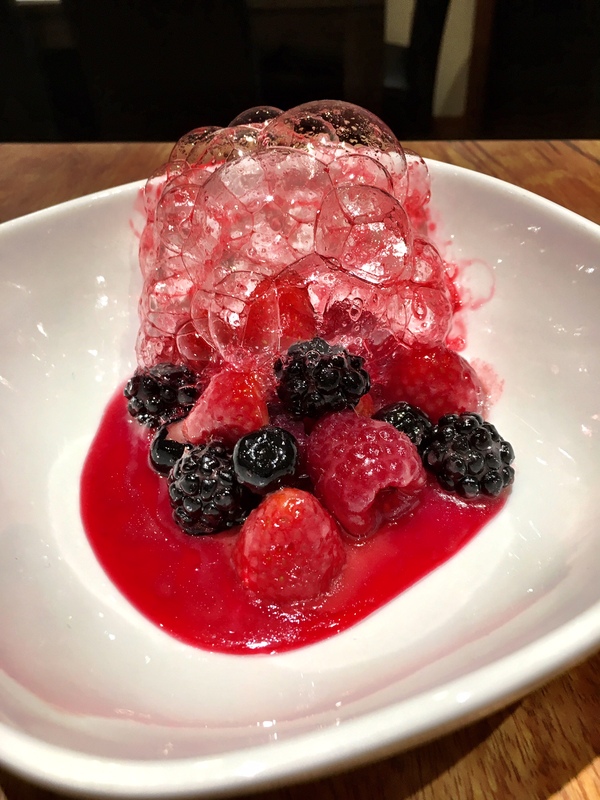 Halve the strawberries and blackberries if they are too big. Set the different fruits in different containers (try to not refrigerate) on damp paper towels to allow the fruit to regain any moisture it may have lost. Gently heat the sugar and water in a saucepan until the sugar has dissolved. Set aside. 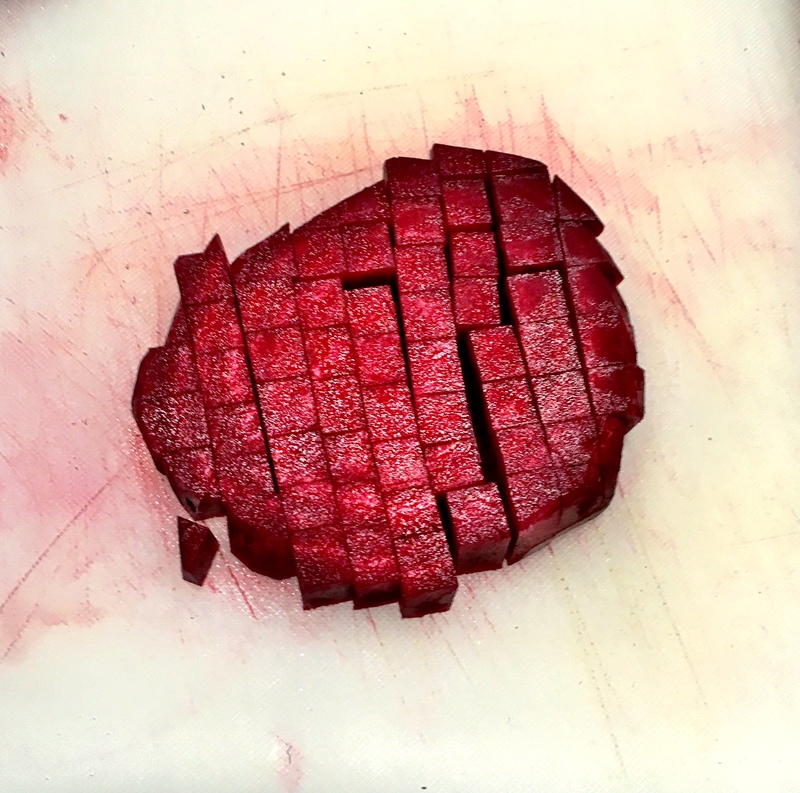 Next you want to peel the beetroot and cut into irregular pieces about 1cm wide. Blanch the pieces in the hot syrup for 2 minutes then place them on a tray and cover. Cut off the rind of the lemon and lime, removing any pulp and pith. 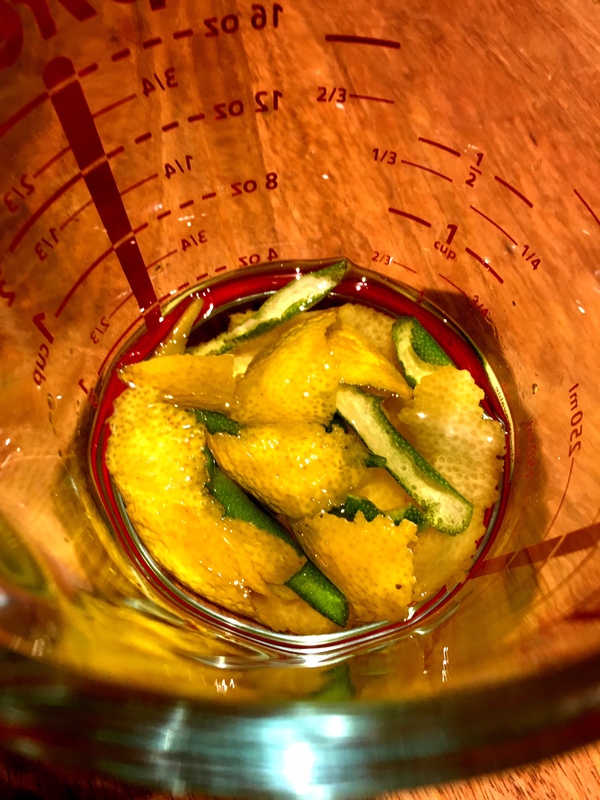 Put the oil into a bowl and make a twist with the rind of the two citrus fruits. 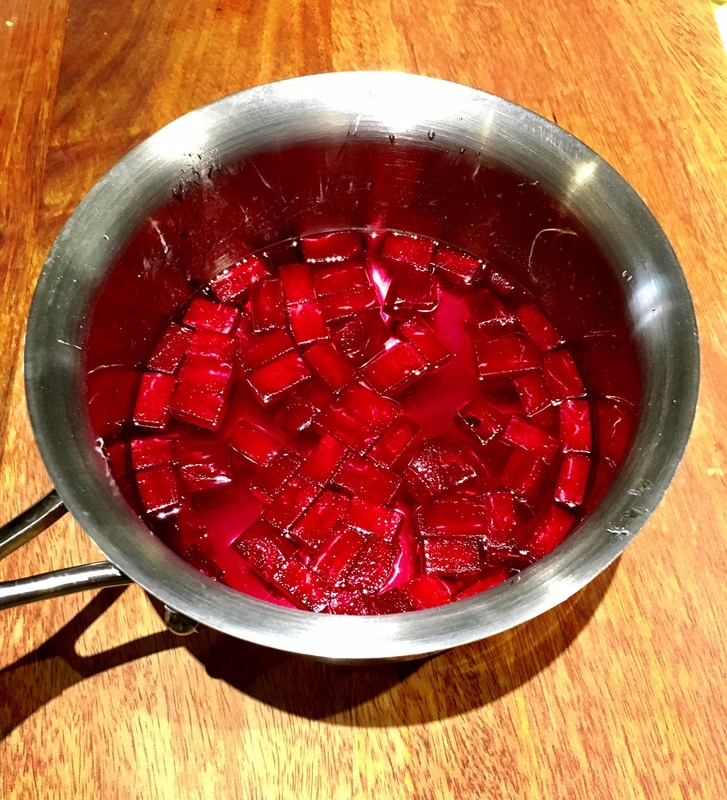 Soak the rind for 2 minutes, sieve the oil and add it to the red fruit juice. Add the pepper.